Mobile phones have changed dramatically over the past couple of decades. No longer are they thick with monochrome displays; in fact, most of the modern models utilize touch screen technology- something that was unheard of back in the 90’s! What are Smart Phones Capable of Nowadays? Chances are, most of you are already familiar with what a smart phone can do. But did you know that they can be used to to do the following? Still, there is another side to the coin- that is, as awesome as they are, there are associated risks that come along with the smart phone’s shiny features. For instance, security has become somewhat of an issue. Seeing as how most devices are now connected to the web, it’s not surprising to know that malware is a thing. We’ve listed some other common concerns with smart phones below. As you can see, most of the dangers are associated with the fact that one can easily access the internet with a smart phone. In the end, the ease with which one can access the web proves to be a double-edged sword. Fortunately for us, there are many precautions that we can take to avoid the above from happening. For instance, there are several softwares out there that allow you to track a phone remotely. On this page in particular, we will be taking a look at Fonemonitor. An efficient monitoring software, FoneMonitor can easily be used to “spy” on both iOS and Android devices. Not only can it be used to track social media applications such as Instagram and Facebook, but it also records data such as location, browser history, call log, and more. Seeing as how it’s generally frowned upon to spy on a spouse, the software is mostly used by parents who’d like to keep a closer eye on their younger children. In some cases, companies may also make use of Fonemonitor to keep track of an employee’s work phone. What exactly is the software capable of? Well, to get the best idea I think you should check out the demo here. That said here are some of the main features! Wondering if any new apps have been installed to the device? Now you can easily find out through the control panel. For those who are unfamiliar with WhatsApp, it’s a popular app that allows for online texting and phone calls. With FoneMonitor, you can easily see the contents of one’s WhatsApp conversations. Similar to WhatsApp, the program can be used to spy on iMessages on iOs devices. Curious to know whether or not any phone calls have been made? You can easily find up through the FoneMonitor app. What websites are visited? With the program, the device’s browser history can be viewed through the control panel. By logging into the FoneMonitor control panel, you can see exactly what photos have been downloaded to the Android/iOS device. The software can be used to monitor both iOS and Android mobile devices. For the monitoring platform, simply login through any web browser! With Fonemonitor, you can easily read and keep track of text messages remotely on iOS and Android devices. By tracking and monitoring your children’s phone activities, you can take it easy knowing that what they’re doing is safe. Need to track a location? No problem- the software can easily track a device’s GPS location with the press of a button. You can easily track up to 29 different types of data (e.g. text logs, phone logs, GPS location, etc.) at one time. Note: To access all of FoneMonitor’s features, you will need to purchase the premium or ultimate editions. 1.) Register for a Fonemonitor account by clicking on “Sign Up” on their main page. 2.) Install the FoneMonitor app on the target device. A setup wizard will guide you through the necessary steps. 3.) On the target Android device, go to the “Security” menu by clicking on “Settings.” You’ll want to check off “Unknown sources: allow installation of apps from sources other than the play store” under “Device Administration.” Click “OK” if you get a confirmation pop-up window. 4.) Download and install the FoneMonitor app. 5.) Launch the app and login with your account. Grant the app permission, and press “Start Monitoring.” By doing so, the app icon will be hidden so that it cannot be found directly by the device’s owner. 6.) You can now view the monitored data either from a web browser or through the control panel app. 1.) Sign up for a Fonemonitor account through their main page. 2.) Upon registering you’ll be prompted to fill in some information about the iOS device that you’d like to monitor. 3.) Input and verify the device’s iCloud ID and password. Be sure to double check that the iCloud backup/syncing has been activate. 4.) After verification, you can start monitoring on the device from the control panel. Note: Unlike Android devices, which require installing the FoneMonitor app on the target phone, you do not need to install it for an iOS device. Instead, make sure access to the iCloud account has been granted. On the fence on whether or not to try FoneMonitor? To help you with your decision, we’ve compiled a list of some of its pros and cons. While it’s true that the software isn’t free, its many features make up for it. What do Users Have to Say About FoneMonitor? Though there aren’t too many reviews on the app, those who have used it are satisfied with the program. That is, FoneMonitor does exactly what it’s supposed to- it effectively tracks app and phone activities. 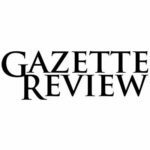 As you can probably expect, there are several other monitoring apps that allow parents to monitor one’s phone activities. For instance, there’s the mSpy, Highster Mobile, and iKeyMonitor, to name a few. While they’re all solid options however, most of them cater toward a single operating system (either iOS or Android). In terms of pricing, most, if not all of the monitoring programs do require some sort of purchase, whether it’s a monthly subscription fee or a one-off fee. As you can see, FoneMonitor is one of the more affordable options out there when it comes to monitoring phone activity. If you’re in need of a phone monitoring service, FoneMonitor is definitely worth considering. Not only is it affordable at only $29.99 per month, but it packs a number of features such as the abilities to see WhatsApp messages and browser history. Easy to use, both downloading and installing the app is a breeze. If you’re still on the fence, why not give it a try for one month? You can always extend your subscription afterward! So, Should I Use FoneMonitor? Where can I Download FoneMonitor? 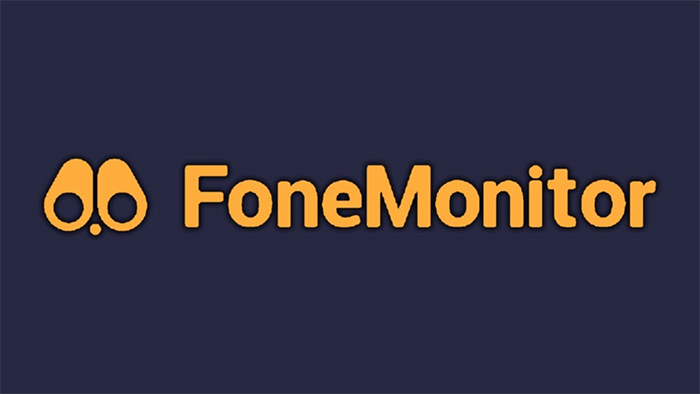 You can download a free trial of FoneMonitor on their official website here. Note: To make use of all the features that it offers, you will need to purchase a premium account. You can view the different subscription plans here.